Celebrating Christmas without some of your loved ones is a really sad and painful experience. This is what Vivo Philippines depicted in a touching video. They released a video wherein a widow and her children tried to celebrate Christmas after they lost a husband and a father in a war. The video revolved around the mother tending to her Children during Christmas Eve while mourning the loss of her husband. A group of carolers sand a rendition of "Silent Night" outside their home. They presented the grieving family with gifts and Noche Buena gifts. They were welcomed inside the home showing a Filipino family's hospitality amidst tragedy. 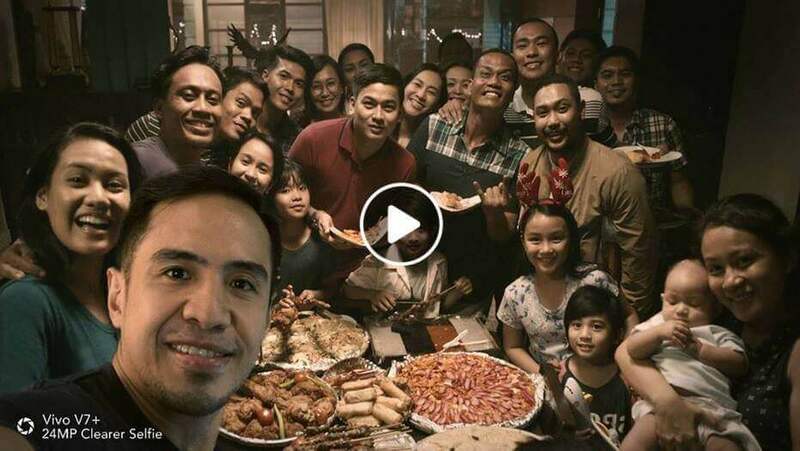 Vivo's Christmas video became an instant hit among the family-oriented Filipinos garnering over 1.1 million views, 5,226 shares, 56K likes, and 917 comments in just more than a week online on Vivo Philippines' official Facebook Page. This is a really feel-good type of video that hit a lot of Filipinos hard and pulled their heartstrings especially following the events that happened to our brothers in Mindanao. If you haven't watched it yet, you can view this heartwarming video here.